Adding a faux balcony, also called a “balconette” or “Juliet balcony,” is a great way to revive a tired-looking home and to add instant character and artistry to an otherwise boring facade. A seemingly small change, mounting a faux balcony has the same effect as an expensive home remodel, since the simple addition of a window balcony will turn even the smallest house, apartment or condo building, or business into a work of architectural interest. Read on to find out more about how these lovely balconies add curb appeal and value to any residential or commercial property. 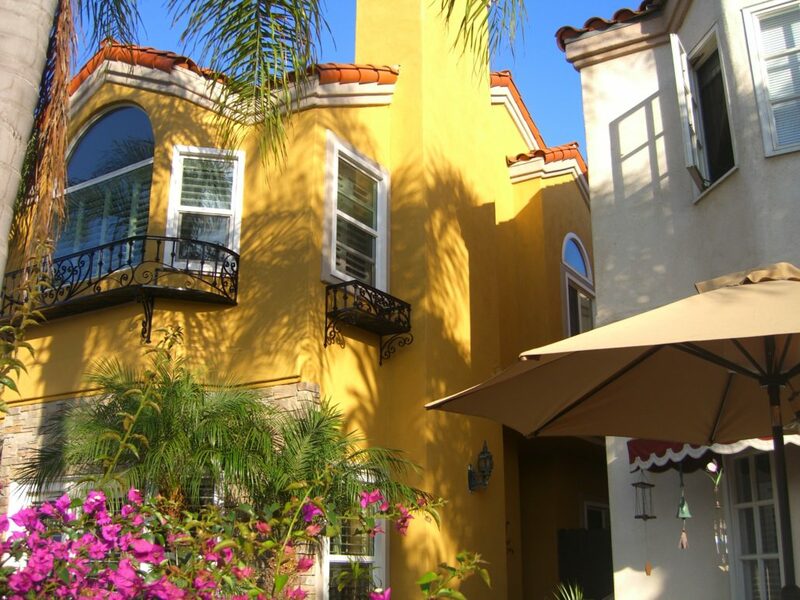 Visually break up the “stucco wasteland” of a flat-looking home or complement European architecture with a French balcony or other classic Mediterranean balcony design like the Bellisimo or the Salerno. 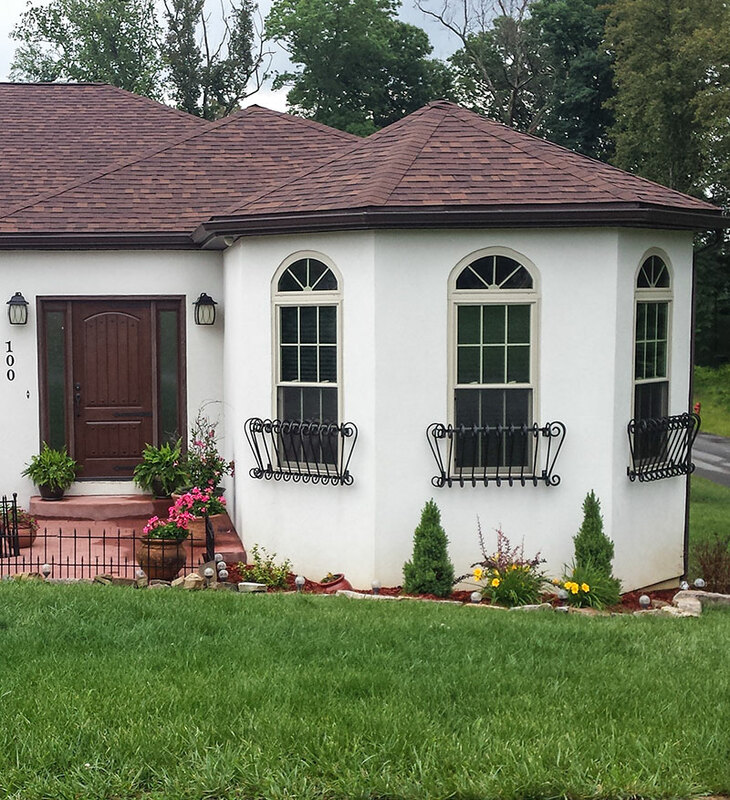 First- and second-story windows of all sizes and shapes, as well as French doors, bay windows, and structural balconies can be made both beautiful and safe with the addition of one of our custom-made faux balconies. 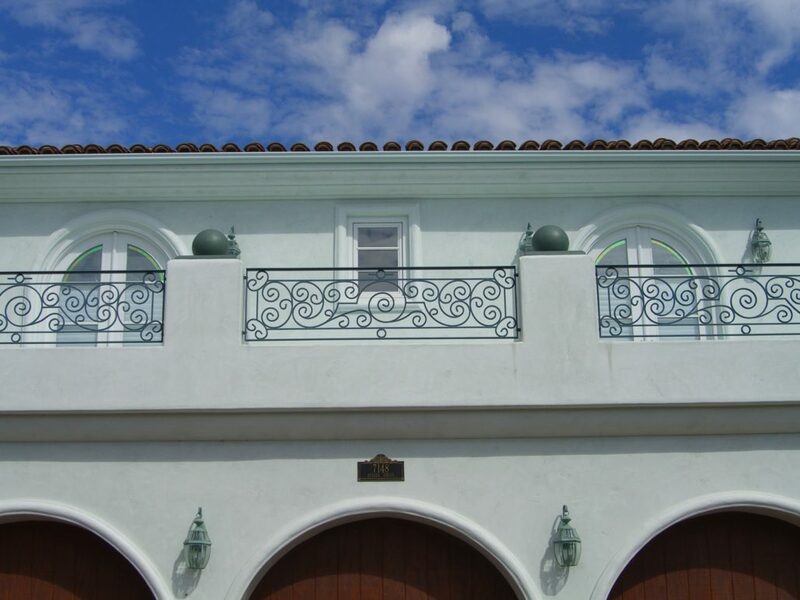 From traditional scrollwork patterns to Art Deco-style designs, we have the balcony to suit your home or business. Are these handcrafted, expertly made balconettes beautiful? Yes, but that’s not their only perk: they can also provide needed safety for second-story windows and doors, providing a barrier for you and your family. 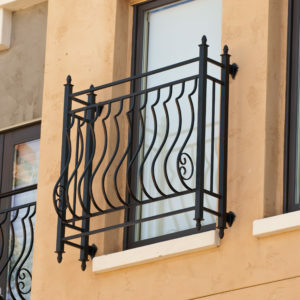 Securing one of these wrought-iron faux balconies onto an upper-story window or deck will ensure that adults and children alike won’t fall from high or stumble. And though these lovely faux balconies won’t support a person’s weight and are simply there for decoration, they also act as an effective safety guard since they typically reach at least waist-high on an adult. Ensuring safety for people on the inside, these lovely window balconies also provide security from would-be intruders from the outside. 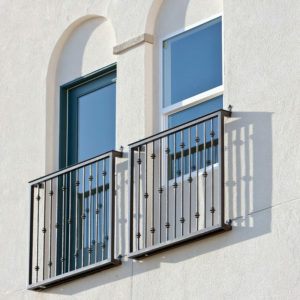 Securely bolted to the home’s exterior, these fake balconies prevent break-ins in otherwise passable windows and balconies, while maintaining a mostly clear view and access to breezes. This way, you and your family can still enjoy the outdoors from inside, and enjoy the peace of mind that this added security provides. Want to create the look of French doors with a larger window? A faux balcony will do the trick! Adding a beautiful balcony will give the illusion that the window is actually a doorway opening up to a beautiful vista—and no one has to know that the balcony isn’t functional! All that neighbors and passersby will focus on is how lovely it looks! Plus, the balcony gives just enough clearance to open doors and windows and enjoy afternoon breezes. A ground-level window can be made to look like a small veranda with the right faux balcony—and the best part is, you don’t have to go through weeks or months of noisy remodeling construction to get this look! Our faux balconies are easy to install and instantly add visual interest to your home. 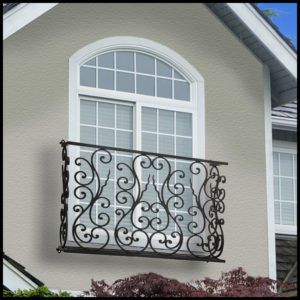 Since all of our designs are cohesive, you can compliment your new handcrafted faux balcony with one of our European-inspired wrought iron window box cages to complete the look. Research from the UK suggests that home improvements like adding a balcony—even a faux balcony—can increase a property’s value by as much as 10 percent. But whatever the actual figure, it is obvious that properties with these added touches attract more interest than their more bland counterparts. And since each faux balcony we make is custom-made in both size and style for every client, there are no limits to the unique look you can create! Choose from powder-coated iron, rust-proof aluminum, or steel. Select one from more than 35 styles, and further customize it in the color of your choice (we offer six powder-coating colors, from black to textured bronze). We’ll Help You Design Your Faux Balcony Today! Are you inspired by one of the photos you see here or on our site? Or perhaps you love a balcony design you’ve seen on your travels to France or Italy and you want to recreate it for your home. We can help! 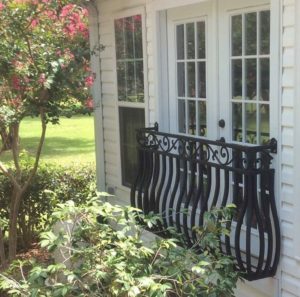 Call us today to create your very own custom faux balcony or balconies and get ready to boost your curb appeal with these charming architectural accents!